Spring is here and weddings bells are chiming. The winter caps have melted away and flowers are in bloom all season long. What better time to have your wedding? 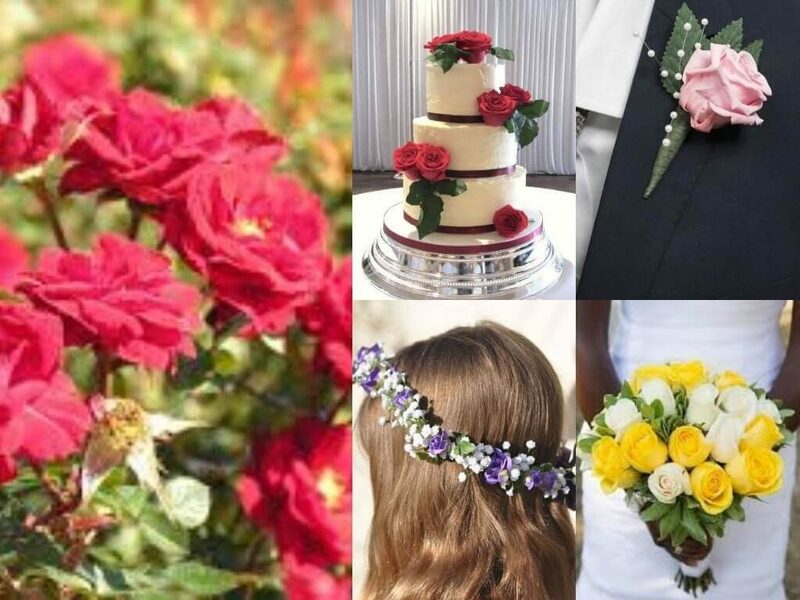 If you’re anything like us, you believe Spring is all about flowers.There are an array of flowers to choose from in the Spring and there are so many places to incorporate flowers into your wedding! You can put flowers on food, drinks, party favors, tables or wear them in your hair. 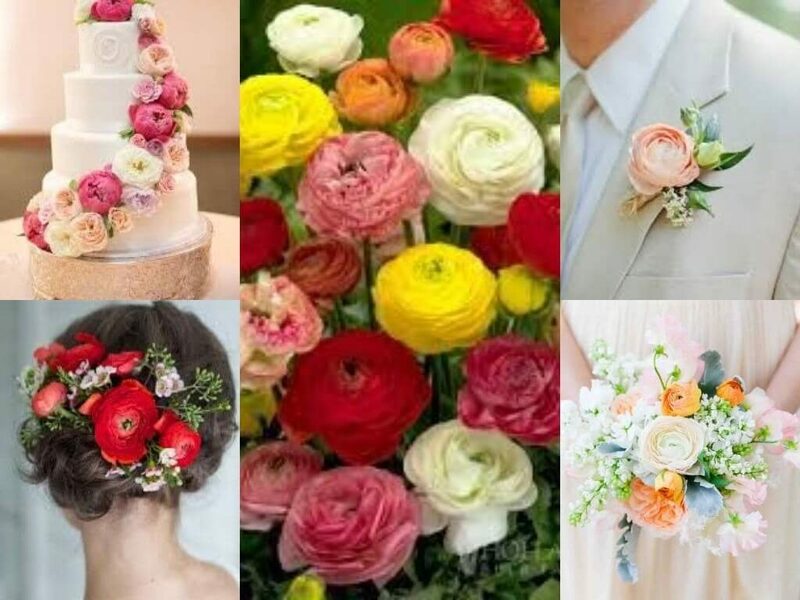 If you’re ready to tie the knot, or know someone who is, here are a few tips on choosing the perfect blooms for the big day. Roses, of course! You can never go wrong with something as classic and timeless as a rose. Roses are an international symbol for love and there are hundreds of species of roses cultivated all over the world. These may include the popular garden rose, which has a fluffier appearance due to a higher petal count, and the spray rose, which is a small bloom that grows in clusters and is mostly used as a filler flower. Adorn your wedding with Peonies. Peonies are lush blooms with densely-packed petals that gradually open layer by layer. They come in various colors, ranging from white and pastel pinks to rich and vivid reds and yellows. 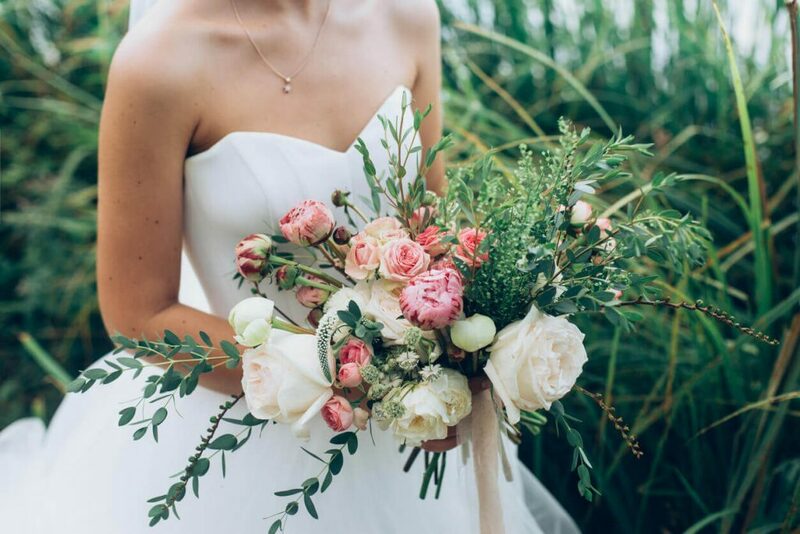 Peonies are primarily sought-after for weddings due to their versatility and alluring fragrance, but they are also used because they symbolize romance. Peonies are native to Asian countries and are known there as “King Flower”. 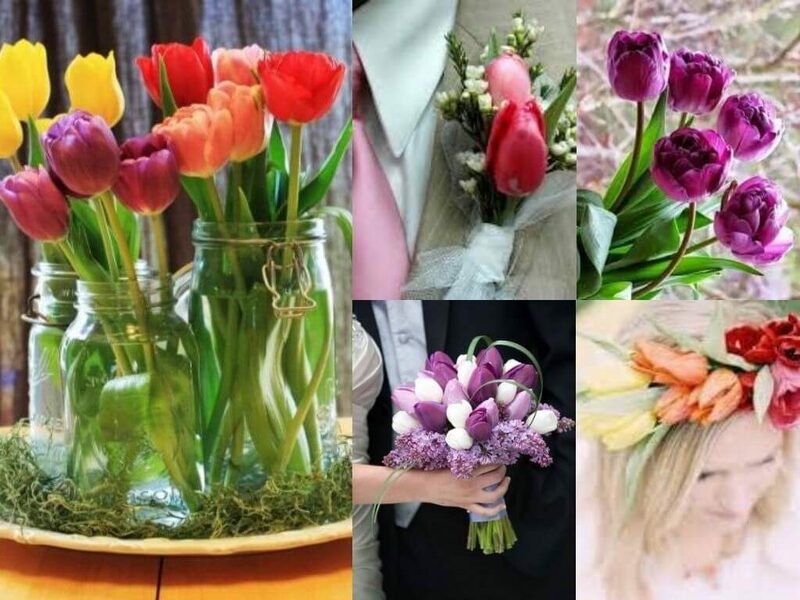 Embellish your wedding with tulips. Tulips are a perfect Spring bloom. They have a unique bell-shaped blossom that feels rubbery to the touch and they grow in various colors. They can be used as an accent in your bouquet, used alone in a delicate centerpiece or used boldly in a floral hair piece. Accent your wedding with Sweet Peas. Sweet peas are, as the name suggests, sweet-smelling flowers. They have thin delicate petals, soft to the touch. 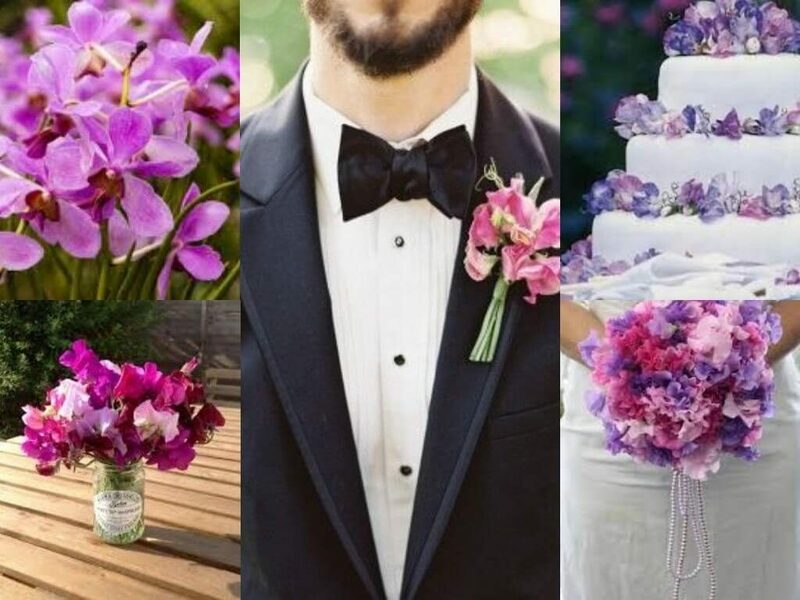 They come in violet, fuschia and pink, so if these are your theme colors, this is a truly lovely flower to incorporate. These are great for a fresh Spring wedding. 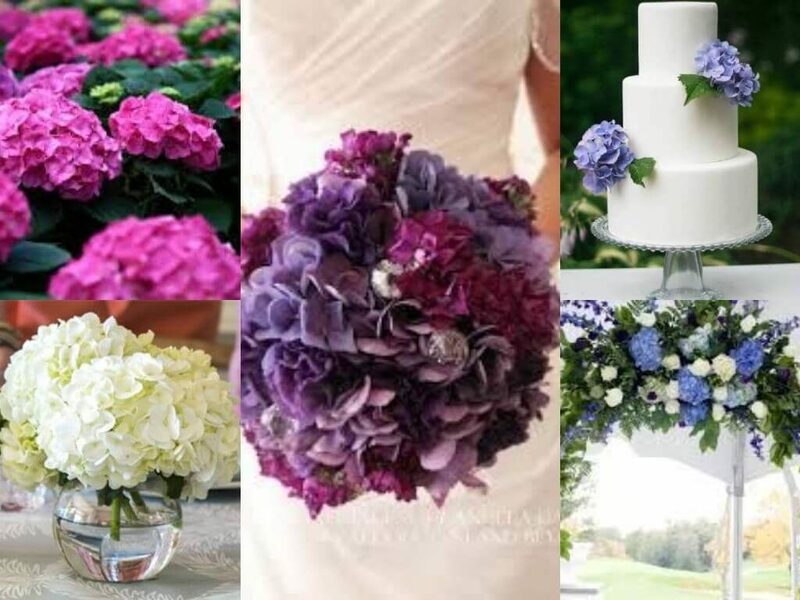 Add Hydrangeas to your wedding celebration! 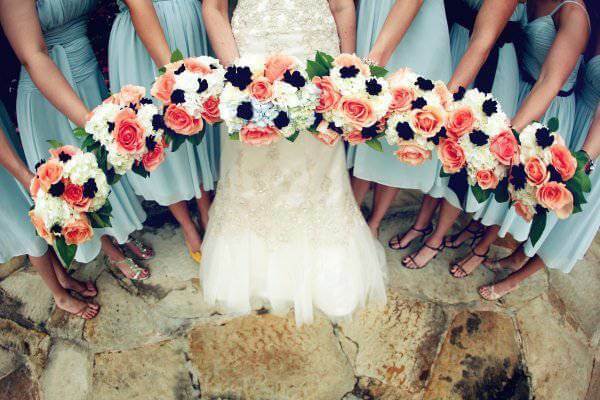 They are popular wedding flowers known for their large globe-shaped flower clusters. These come in berry-toned colors and are great for filling up a wedding arch or any large areas. Use just a few in water, and you’ll have a luscious centerpiece for your guests to enjoy. Top a simple cake with a hydrangea and you’ll have an elegant and understated wedding cake. These are just a few Spring blooms aimed to inspire. Spring is the season of hope, which makes it a wonderful time to say “I do.” We hope we’ve given you some ideas for your special day!